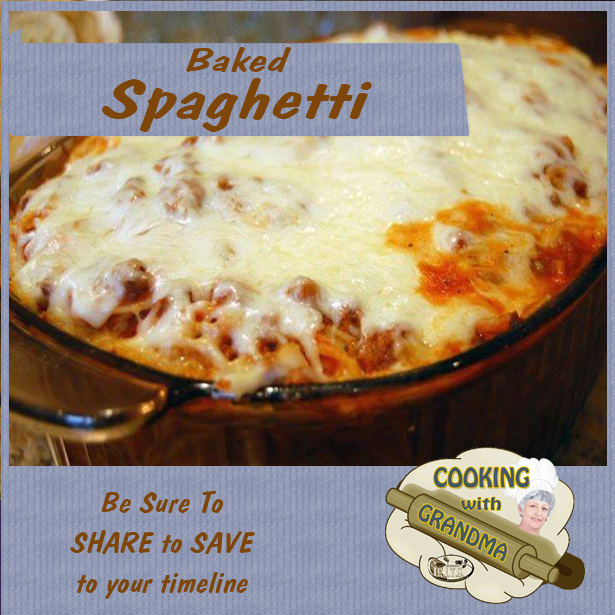 A nice change from the norm… A comforting baked spaghetti casserole with plenty of melted cheese is sure to be the perfect dish for potlucks, family gatherings, or just a week-night dinner! Brown the meat with the onion. Drain the fat and rinse under hot water. Cook the spaghetti according to the package directions. Drain and stir it together with the meat, sauces and extra spices. Put it into a casserole dish and top with cheese. Bake at 350 degrees for about 30 minutes, or till hot and bubbly. This satisfying pasta bake is quick to make and will please young and old alike. Add a salad and breadsticks, and you’re ready for company!